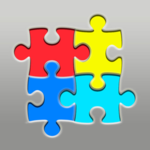 Autism Tracker Lite: Track and Analyze ASD is an educational app that helps families explore autism spectrum disorder. It tracks data in these four domains: mood, behavior, food, health monitoring. Autism Tracker can be life changing for families with an autistic child. Track what matters to your child and your family. Use the visual calendar and multi-item graphs to view and discuss patterns. Share individual events or entire screens with your team. Track several persons on one device. Receive daily reminders. The benefits of Autism Tracker supersede traditional methods of data tracking and create an endless database from tracking patterns and trends in individuals with autism or developmental disorders. In addition, this is a great source of reference for an ARD/IEP team, case mangers, therapists and others caring for an individual with unique needs.